Ceramic tile is especially useful in kitchens and bathrooms because it is water-resistant, easy to clean, and extremely durable. Made from a mixture of clays and fired at high temperatures, tile is used for wall coverings, floors, showers, countertops, bath surrounds, and more. 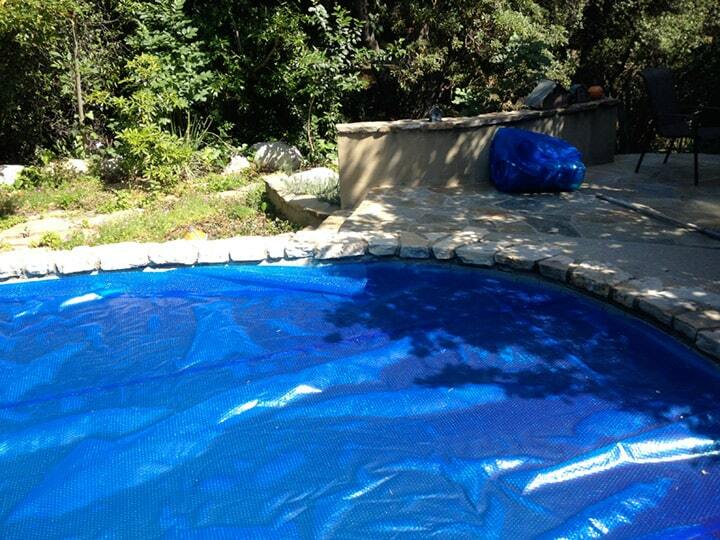 Tiles used on walls and counters are generally glazed. 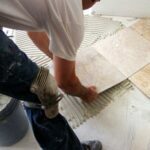 Grout, a kind of mortar, is spread between tiles to lock them in place and fill the joints between them. 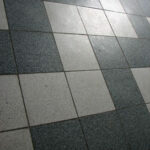 Grout may be white or colored with pigment. Ceramic tile may be applied directly over drywall-if the room is likely to be damp, special moisture-resistant drywall should be used. 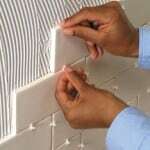 Or tile may be applied to a mortar bed or backerboard made of a ceramic aggregate core that is coated with a thin fiberglass mesh. Professionals apply tiles to walls with a thick bed of mortar; home repairs often call for a thinner mastic or mortar-type adhesive.